JWK Trade Show – March 29 & 30, 2017 – SAVE THE DATE!! Make Your Station Safe Again! Show starts Wednesday, March 29, 2017 at 9AM until 4:30PM with 6 different certification and informational seminars provided by 6 different vendors. 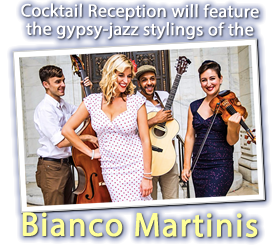 We invite you to join us for our cocktail reception immediately following the show’s conclusion on March 29th with entertainment provided by The Bianco Martinis. And if you can’t make it on March 29th, we invite you to attend our half day on March 30th from 9AM to Noon! Compliance with double wall monitored sumps. Registration for the show and seminars IS REQUIRED! We plan to open online registration in the coming days. Please watch this space for further notice!